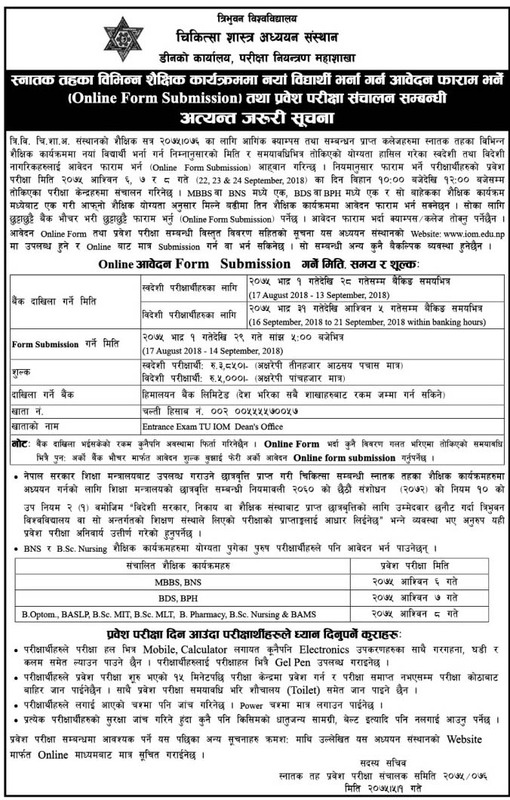 Institue of Medicine Tribhuvan University published a notice for bachelor entrance exam 2075 on MBBS, BNS, BDS, BPH, B Optom, BASLP, B.Sc. MLT, B Pharmacy, B.Sc. Nursing and BAMS. Check details of TU IOM Bachelor Entrance Exam Notice 2075 below.